Home / TOYS / Could this interactive driving experience be glimpse of the future? 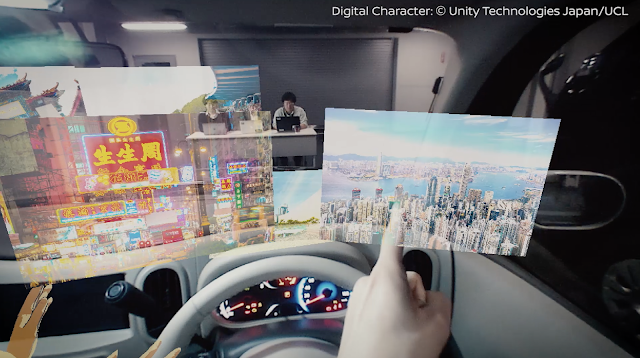 Could this interactive driving experience be glimpse of the future? The Consumer Electronics Show in Las Vegas is an annual pilgrimage for tech lovers. Every year since 1951, technology companies from across the world have converged to showcase their latest wares. This year, along with the gadgets, visitors will also be able to cast their eyes on futuristic technology from Nissan that could change the way we drive. 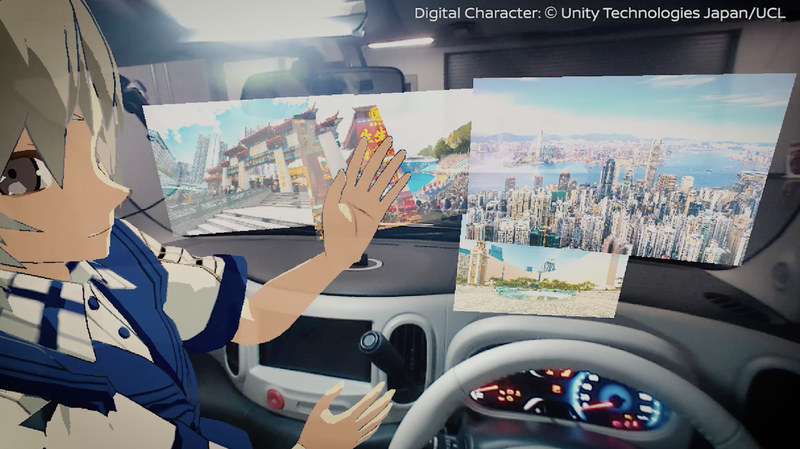 Nissan will be showcasing a technology known as 'Invisible-to-Visible', or I2V, which enables a range of new features, including sat navs beaming out avatars that make it look like an animated character is sitting in the passenger seat. The technology can also show scenery of a sunny day in the vehicle - even if it is actually raining outside. The interactive, 3D display contains a system that uses sensors to anticipate upcoming obstructions. If an obstacle comes up that the car’s automatic systems can’t anticipate, like a fallen tree, control is instantly handed to expert human guides that can remotely offer assistance – like NASA offering guidance on a space mission. Using interior sensors, the car can also monitor driver behaviour so that it can better anticipate when they may need assistance with finding something, or a coffee break to stay alert. In the 'Metaverse' - the virtual world that autonomous cars of the future can connect to - family, friends and others can appear inside the car as three-dimensional, augmented reality avatar to provide company and assistance. The Metaverse also maps a 360-degree virtual space around the car, providing information about road and intersection status, visibility, signage or even nearby pedestrians. 'Invisible-to-Visible' will be on display at the Consumer Electronics Show in Las Vegas from January 8-11.